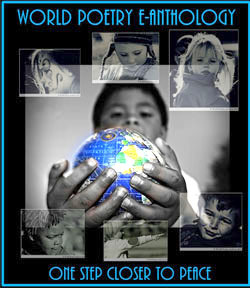 World Poetry Celebrates the Italian Poet Sandro Pecchiari! 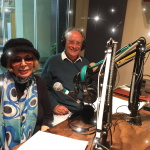 Notes: The World Poetry Café, 100.5 FM, September 13, 1-2 pm, PST, with hosts, Ariadne Sawyer and Dr. Diego Bastianutti welcomed the well -known Italian poet, Sandro Pecchiari calling in from Italy. A fascinating interview ably conducted be Diego with poetry in English and Italian, created an wonderful show with great feedback from around the world. Among the items discussed was the poet as translator. 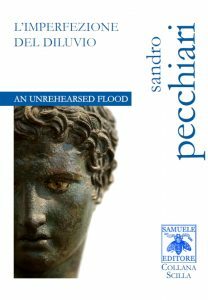 Sandro Pecchiari graduated in Foreign languages and literature, with a thesis on the poetry of Ted Hughes. He published three books with the Italian publisher Samuele Editore: Verdi anni (Collana Scilla 19, March 2012), Le svelte radici (Collana Scilla 33, december 2013), and L’Imperfezione del Diluvio – An Unrehearsed Flood to complete the trilogy. His books were presented in the television program “Le Parole più Belle”, Telecapodistria, Slovenia, in 2014 and 2015. Some of his works were read at the International Poetry Festival, NYC, 2014 and at the literary week Residenze Estive by the United World College – Castello di Duino, Trieste, 2014. 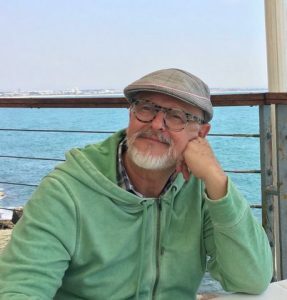 He is a member of the jury of the Festival of Literature and Poetry of Duino and collaborates with the magazine “Traduzionetradizione” (Point Press, Milan) and the magazine “L’almanacco del Ramo d’Oro” (Trieste). A fourth book has just been published: Scripta non Manent, dealing with rethinking the past and rewriting it. Hiša v Ljubljani – Home in Ljubljana, 2017. Toni Piccini, Auschwitz Haiku in samgha.me from Italian into English. This entry was posted in Ariadne's Notes, E-Poets, Featured musicians and artists., Featured Poets, General and tagged Author Sharon Rowe, Bamdev Sharma, Dr. Diego Bastianutti, International Peace Award Ariadne Sawyer, Sandro Pecchiari, Victor Schwartzman on September 16, 2018 by Ariadne.